Home Entertainment Noragami Season 3: When is the anime series releasing? 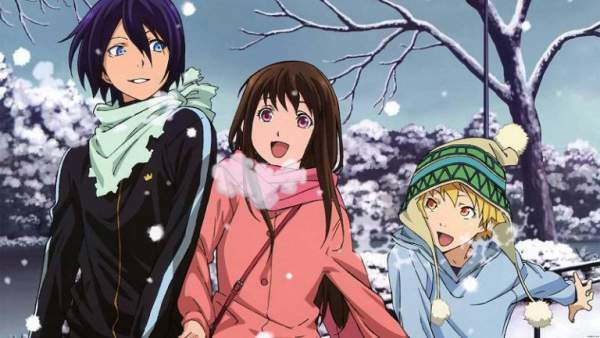 Noragami Season 3: When is the anime series releasing? Noragami Season 3: Season 2 of Noragami anime left fans with many questions in their mind. So, fans are eagerly waiting for the third season of Noragami. The series is based on Japanese manga Noragami Aragoto which is written by the Adachitoka, This very famous manga was published in 2011. Earlier, the first two seasons of anime series released in January 2014 and October 2015 respectively. The first series consists of 12 episodes and 13 episodes were there in the second installment. After the ending of Season2, fans were assuming that season 3 will come in 2016. But we have to wait for Season3. The director of the series has used only first 38 chapters out of total 71 chapters for first two seasons. So, we can hope for two more seasons from remaining chapters. Sounds Amazing, isn’t it? Talking about the story of season 3, it has been anticipated that it will be oriented towards the Father and fans will finally get to see the Dark past of Yato. The most talked question which remains unanswered at the end of s2 is that who was that random man who kissed Hiyoru. If we believe to the spoilers then he is Yato’s father. As we know Yato had killed the first family of Bishamon, but now Bishamon has forgiven him. Yato aspires to be the god and wants millions of people to worship him. One report may turn out to be just a rumor, said that What we know is that Elder Gods will disapprove of Yato’s relationship with Hiyori. And hence in order to fulfill this aspiration, Yato is acquiring allies. He will face his past regalia, Nora in Noragami S3. But she can take revenge from Yato as he did let her go. She would probably be Yato’s next enemy and her terrifying side can be unleashed in the upcoming segment because of having a twisted sense of morality. The friendship of Yato and friends is the most precious and enjoyable thing of the series. We will love to see them in the upcoming installment too. Yato is the god of fortune under the guidance of Yukine. Hopefully, we can see in Season 3 that how Yota will prevent the death of Hiyori. it. Will Yato gets his own temple? BONES studio is producing the anime series. This studio is known to produce famous anime series such as Black, Wolf’s Rain, and Soul Eater. There is no official announcement about the release date of Noragami 3. But Insiders reported that Noragami season 3 will release in winter 2017. There hasn’t been any official update so far. It seems that it will premiere in 2018, now. Update (July 2018): There has been no update regarding its premiere date. Also, the manga series has also gone on a hiatus. It’s because no new volume has been released since February 17, 2017. So, Stay Tuned to The Reporter Times for more updates on your favorite anime series and all the worldwide tv shows. It’s December! When? Just when it will finally release?!! Some say n 2018, some say later. But i’m still waiting ?